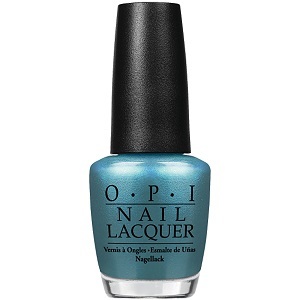 OPI Nail Polish, Teal The Cows Come Home, NLB54, .50 fl. oz. Bright metallic turquoise/aqua blue shimmer nail color.